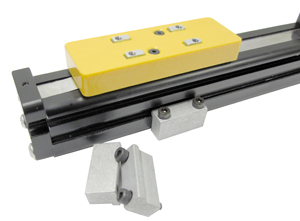 The LCR Series offers users unmatched flexibility in a small footprint linear actuator. The LCR fine lead screw offers higher resolution and higher thrust with lower motor torque. The LCR high lead screw provides users with a higher speed solution and screw drive positioning capabilities. An alternative to our screw driven options the LCR belt drive options is perfect for high speed motion or long travel (up to 1m) applications. 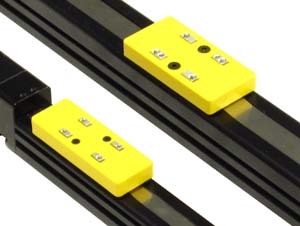 Pairing these drive technologies with the different bearing designs (square rail or glider bushing), the LCR offers a complete miniature linear positioner with a sealed body design. What makes the LCR unique? 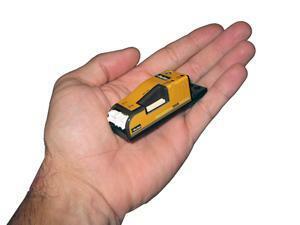 The LCR offers best in class miniature positioning options. The LCR starts with a black annodized aluminum extrusion designed for rigidity in a small footprint. The extrusion allows easy mounting with toe clamps and quick and easy limit sensor installation with t-slots along both sides of the extrusion. The bearing options include a robust high performance internal square rail design, or for a lighter payload - the glider bushing is perfect reducing instrument weight and cost. 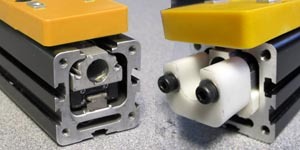 With the internal square rail design, the bearings are protected from environmental debris and will provide a longer life with a more aesthetically appealing design for your lab instruments. Coarse lead screw options provide thrust with high speed capabilities, while fine lead screw options provide higher thrust and finer positioning capabilities. For the really high speed moves or for longer travel lengths, the belt drive option allows users to select stroke lengths up to 1 m and speeds up to 1 m/s. The carriage on the LCR30 series and larger offers users a dowel pin hole for simple, easy mounting with insurance that the mounting location will be common even if a tooling plate or tray holder is removed or replaced. The locating holes will save users time and money through quick, repeatable installation and assembly. With the standard part numbering options, users can select nema 8 , 11, 17, and 23 stepper motors as well as nema16 servo motors. With our custom capabilities, we can also mount a wide array of 3rd party stepper, servo, or brushed DC motors. 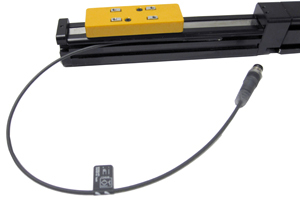 The strip seal design uses a high strength, flexible stainless steel sealing strip that is attached at each end of the unit then travels through the carriage creating an IP20 class protection on the unit. 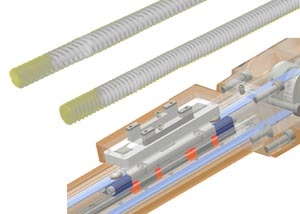 The sealing strip is magnetically coupled to the actuator which prevents any particles from entering the actuator along the length of the body. Parker offers a standard P2 Drive with the LCR directly included in the part number configurable and mounted to the either side of the actuator. For users looking for higher power options, closed loop control, or single axis motion controllers, we also have a full range of stepper and servo drives and controllers. The LCR Series is optimal for a light weight microscope slide. The LCR provides instrument builders with an OEM friendly design which allows them to meet or exceed customer expectations. The LCR is small enough that it will keep your overall instrument sizes minimized, yet with the square rail bearing design, the LCR has enough stiffness and support to carry up to 25 lbs. Simple modifications to the standard unit can turn the LCR series into a user friendly, environmentally friendly electric gripper. The result is a multi-axis LCR solution ideal for storage and retreival of light payloads. Positioning samples in your instruments doesn't need to be a tedious design project. The "off-the-shelf" LCR solution allows instrument builders and OEMs a RoHS compliant product to bring their designs to market faster. With multiple cross sections, bearing options, and drive trains; the LCR is perfect for complete automation of your liquid handling instruments. Whether the microtiter trays are in motion or the pipetting tips are in motion, the LCR is optimized for simple automation of these components.